In June’s issue of Manager Magazine, Irina Stancheva, HR Manager GOPET TRANS, has discussed about our work environemnt, what means working in GOPET and the opportunities for development. She pointed out that most of the management positions in the company are now are occupied by colleagues who started their careers with us. The continuous growth of the company requires cconstant recruitment of new staff and during the selection process we seek to balance the specific functional competencies of the candidates and their personalities. 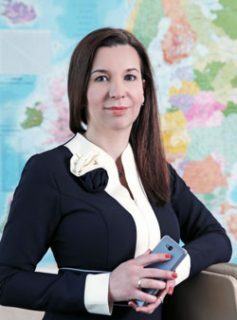 In the interview, Irina makes a compelling portrait of the freight forwarder role, in order to help candidates outside have a correct grasp of this profession. More details in the publication (available only in Bulgarian language).